A new sporting concept that utilizes the principles and properties of a circle to define a ball sport. 360ball® is a racquet sport played by two players or between two teams of players (doubles) in a circular court. Players use racquets to strike a rubber ball onto a centrally placed concave disc. Get fit while you have fun! An allround body workout with cardio and aerobic benefits. A team sport that promises social interaction and mental stimulation, building hand-eye coordination, while burning fat and toning muscle. Explore the grid to learn more. How the first ball and racquet sport invented in Africa came to be . The game of 360ball® was invented by the Collins brothers, Mark & John, in the Natal Midlands South Africa in the mid nineteen eighties who played a game in a circle by bouncing a ball off a tiled disc. Over the next twenty years the game developed into the fast paced sport it is today. The brothers relocated to Sedgefield and then Knysna in the early nineties and the game evolved dramatically. 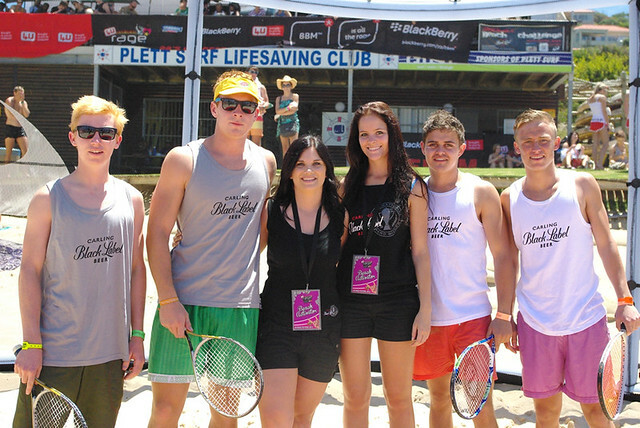 The game experienced renewed interest in 2009 and the first game of Court 360 was played in Knysna in April 2010. 360ball® was played competitively by a number of individuals with whom the games inventors credit a lot of the games developments and modifications; Namely; Nelson das Fontes, Gavin Hobson and Rob Hill. 360ball® becomes the first ball sport to be awarded with the Brand New Overall Award at the prestigous ISPO BrandNew Awards in Munich, Germany. ISPO BrandNew is described as the largest start-up competition in the sports business. The game has since been played on beaches and on courts across South Africa, Spain, France and Germany! An old water reservoir has been converted into a community 360ball® court in the founders hometown, Knysna. We're bouncing around the world. Are you interested in bringing this Brand New Sport your country, city, campus or club? Get hold of us to find out more! . Fire away with your questions and comments, we'll get back to you as soon as we can. Watch some of the first 360Ball games here.